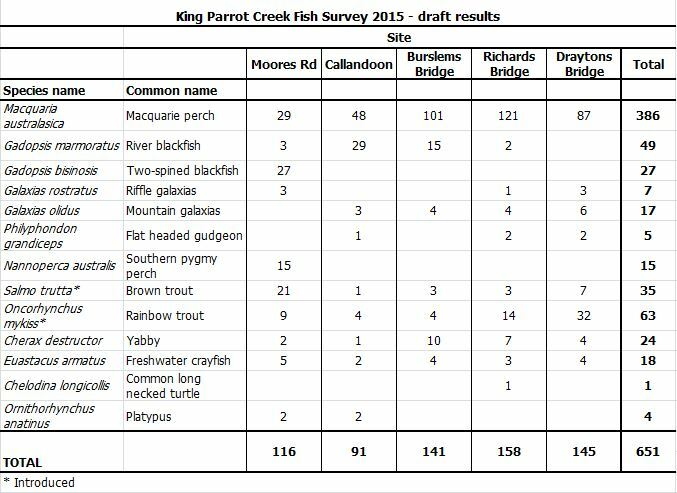 There was great news last week from the scientists from Arthur Rylah Institute who recently completed their annual fish survey of King Parrot Creek. Using fyke nets at the usual 5 sites and some electrofishing at intermediate locations, the team caught 386 endangered Macquarie Perch, by far the highest total since surveys began in 2006, and an increase of almost 60% above last year’s catch. One downside of the survey was that litter, discarded fishing line and illegal fishing traps are still being found along the creek. 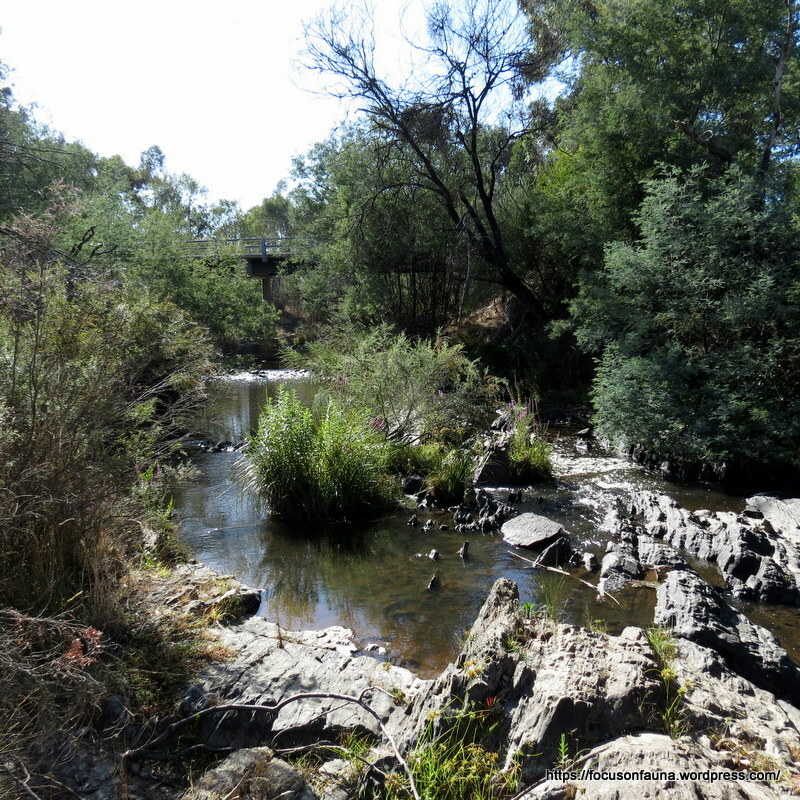 We are very grateful to the Goulburn Broken Catchment Management Authority for its continuing support for these fish surveys. To see posts on previous surveys simply type Macquarie Perch into the ‘Search This Site’ box in the right hand sidebar.